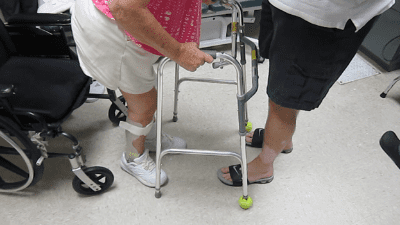 At Florida Orthopedic Foot & Ankle Center (FLOFAC) we are able to offer treatment for the most complex lower extremity deformities. Dr. James Cottom has been treating patients with severe deformities for over 12 years. He has had advanced training in both the United States and Russia on the latest techniques in these complicated cases. It does not matter if the issue is congenital, result of an accident or even from a previous surgery, we can help. All conservative options will be explored and explained in detail to our patients. In addition, we are able to provide surgical treatment in complex cases in which conservative treatment does not work or is not an option. Dr. Cottom and his team routinely review complicated cases and provide treatment to those patients with excellent results to date. At FLOFAC we have found that a vast majority of patients feel much better about their situation and overall treatment process once everything is explained to them in great detail. Dr. Cottom is able to provide individualized and personal care in a smaller office setting. It is a relaxed atmosphere where all questions can be asked and will be answered before the visit is over! Feel free to contact the office at 941.924.8777 or Dr. Cottom at www.FLOFAC.com so all of your questions and options can be explored. 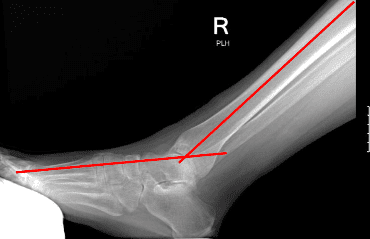 Alignment of the ankle and foot on an AP view of the ankle. 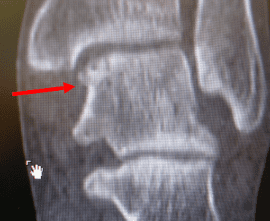 Note the foot is in a plantarflexed and inverted position. Lateral view showing the amount of plantarflexion. 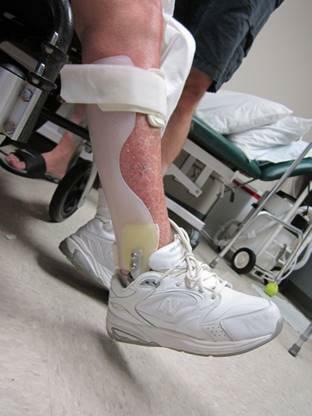 The patients foot was not able to come to a neutral position at the ankle joint and was rigidly fixed in this position making walking impossible. At time of Taylor Spatial Frame removal. Note the excellent alignment of the tibia and foot. 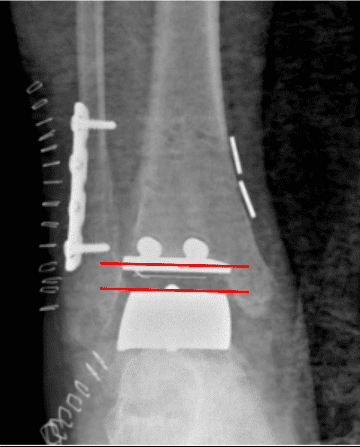 Lateral picture showing the patients foot is easily reduced to 90∞ and is now can be placed in a brace. 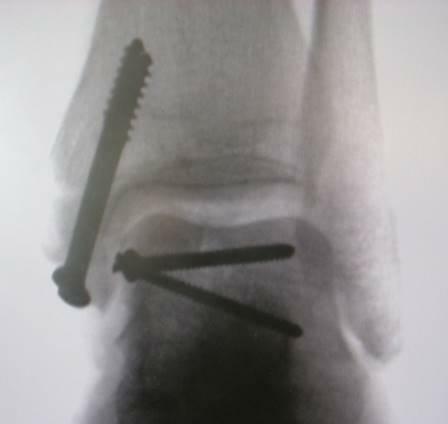 Final AP x-ray demonstrating excellent alignment of the ankle joint and foot. 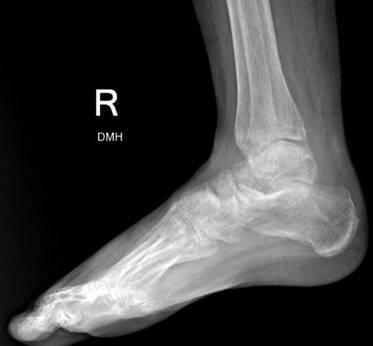 Final lateral x-ray showing reduction of the deformity. 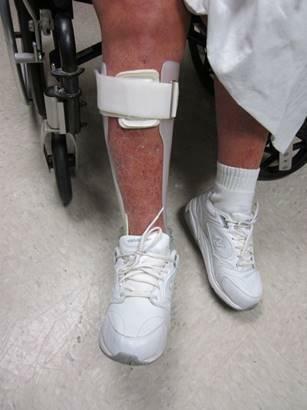 The patient was fitted for an AFO brace and was able to wear regular shoes. Anterior view of the brace fitting nicely in regular shoes. 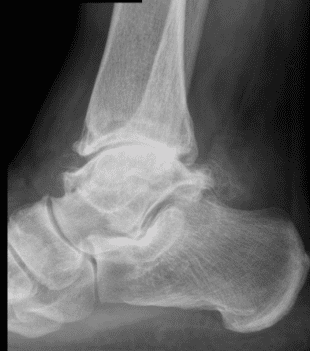 AP X-ray showing ankle arthritis with a varus deformity of the ankle joint. 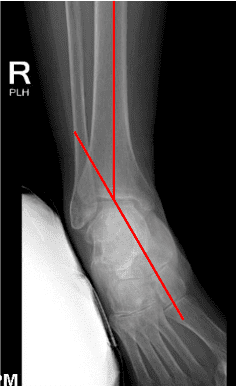 Lateral x-ray showing narrowing of the ankle joint with severe arthritis noted. 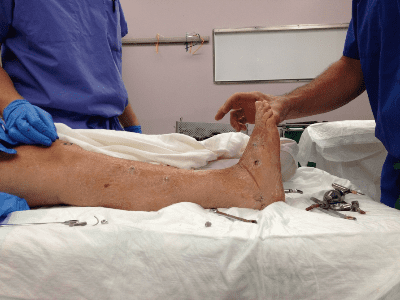 The patient underwent an ankle scope with micro-fracture in 2012and a repeat surgery in 2014 at an outside institution with no relief of symptoms. 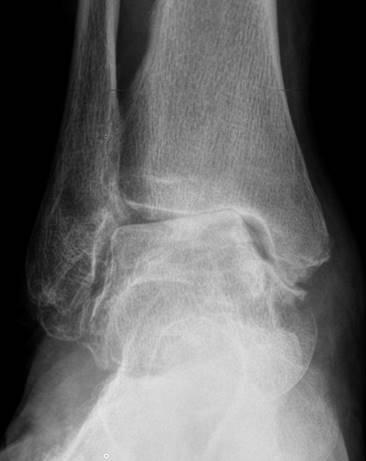 AP x-ray showing the medial talar shoulder with avascular necrosis. CT scan was done to better evaluate the size and extent of the lesion. 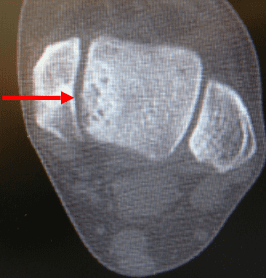 Almost the entire medial shoulder of the talus is compromised. 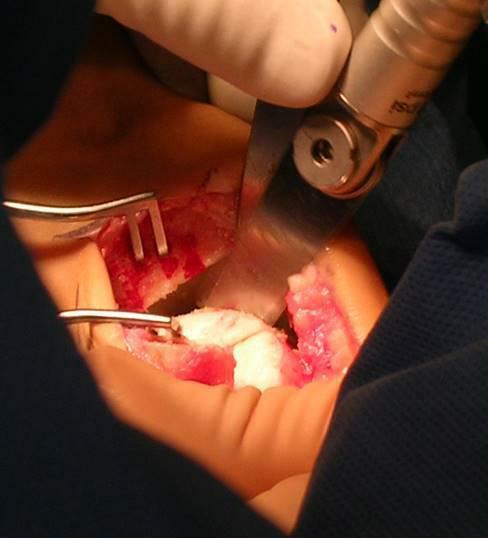 A medial malleolar osteotomy was performed and the damaged talus was removed. 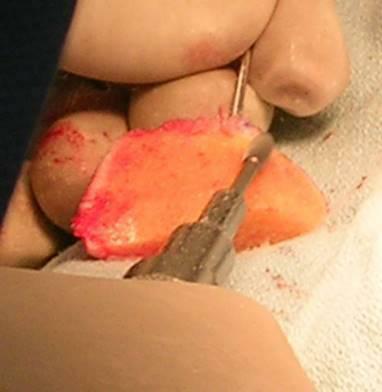 A cadaver talus was used as a graft. The segment that was removed from the patient was placed on the cadaver talus and the exact size was harvested from the cadaver. The segment of bone removed from the cadaver talus. 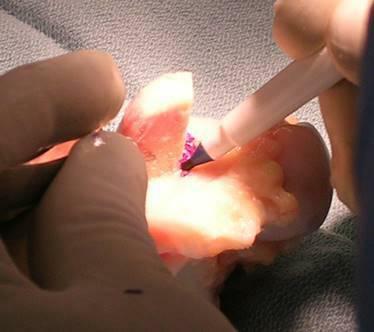 “Fine tuning” of the edges of the cadaver allograft so it will fit perfect in the patient’s talus. 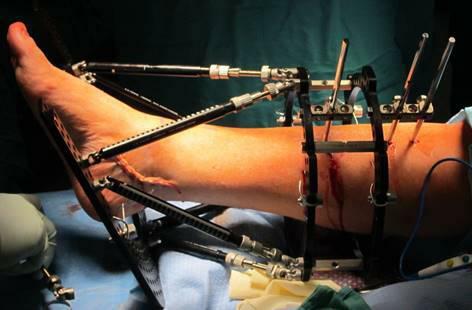 Placement of the allograft talus and fixation with low profile headed screws. Note the congruity of the talar surface. 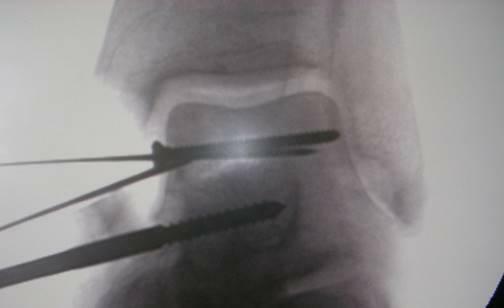 Final AP view with the talar allograft in place and the medial malleolar osteotomy fixated and in anatomic position.